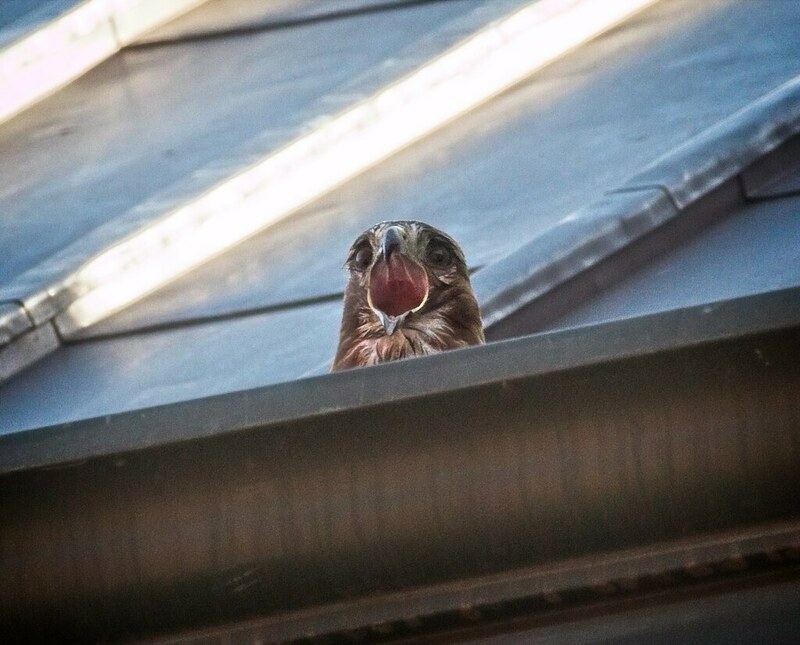 That's Amelia, barely visible in the nest as she broods her eggs. 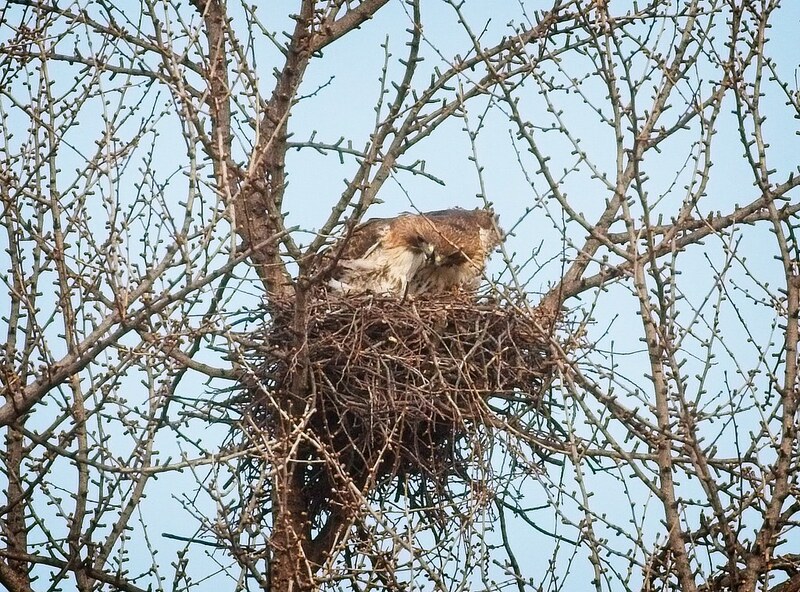 The nest looks to be rounder and deeper than last year's model which was oblong and seemingly shallow. 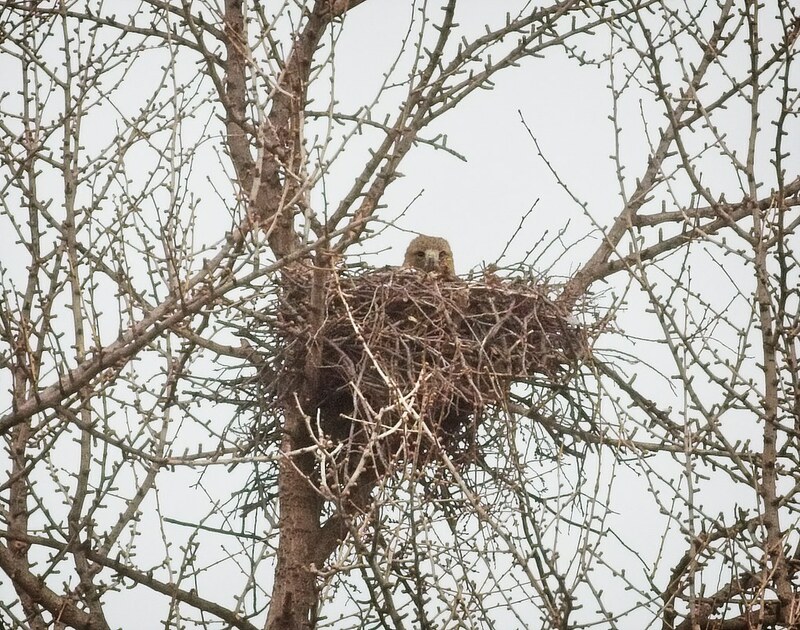 This is the first nest Christo and Amelia built together, so it's interesting to see that it is slightly different than the one Christo previously built with Dora in the same tree. 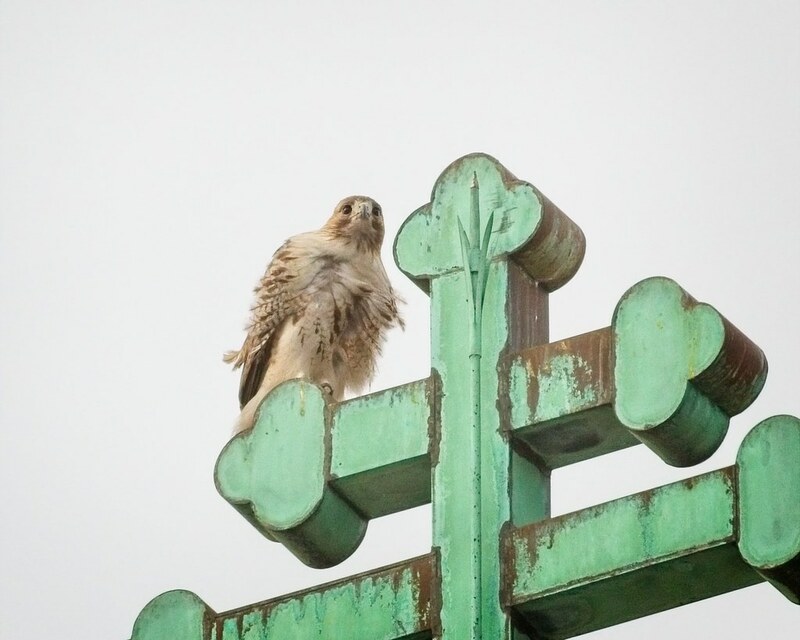 While Amelia spends most of her time in the nest, Christo can be found nearby on some of their favorite perches, like the cross at St Nicholas of Myra church on Avenue A and 10th Street. 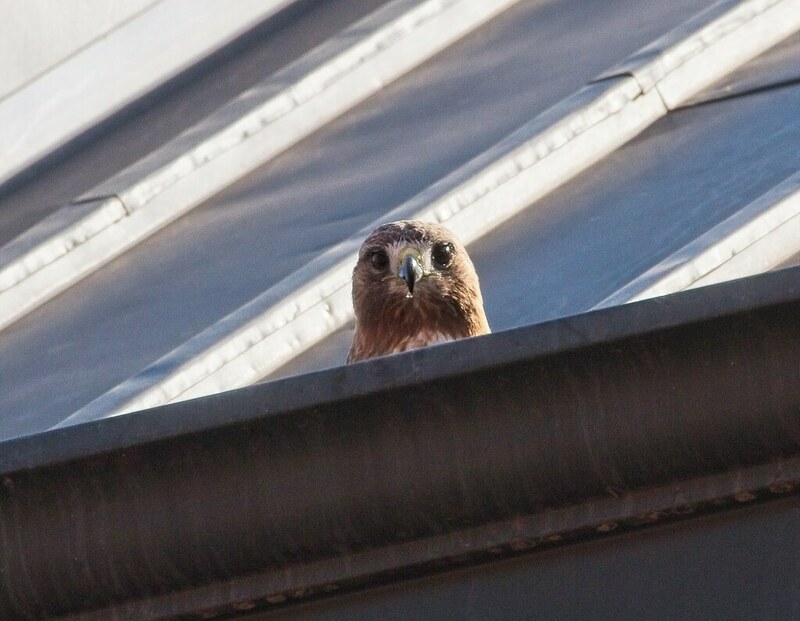 On Sunday, I caught the two hawks peering down into the nest. I wish they could tell us how many eggs are in there. As I watched, Christo took over egg brooding duties and Amelia flew over my head. 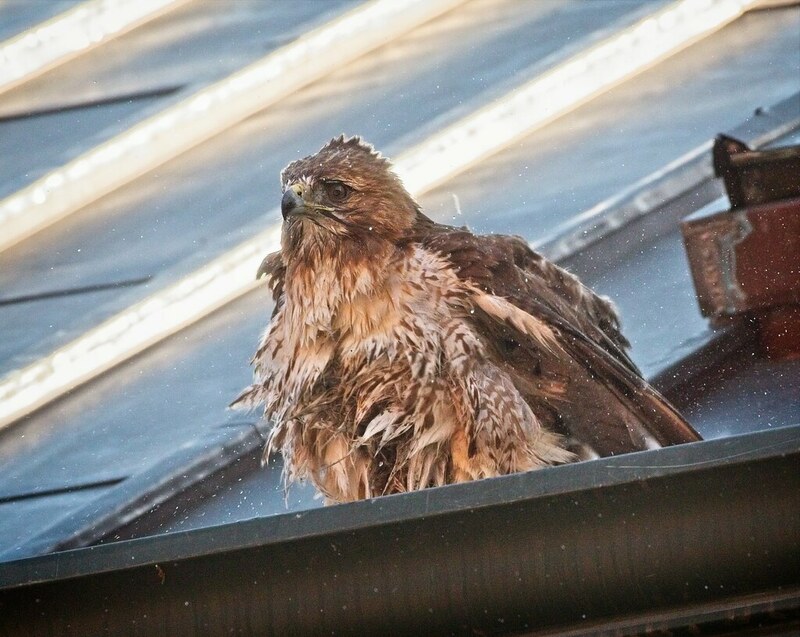 She landed on the roof of St Brigid's church on Avenue B and proceeded to take a bath in the gutter. 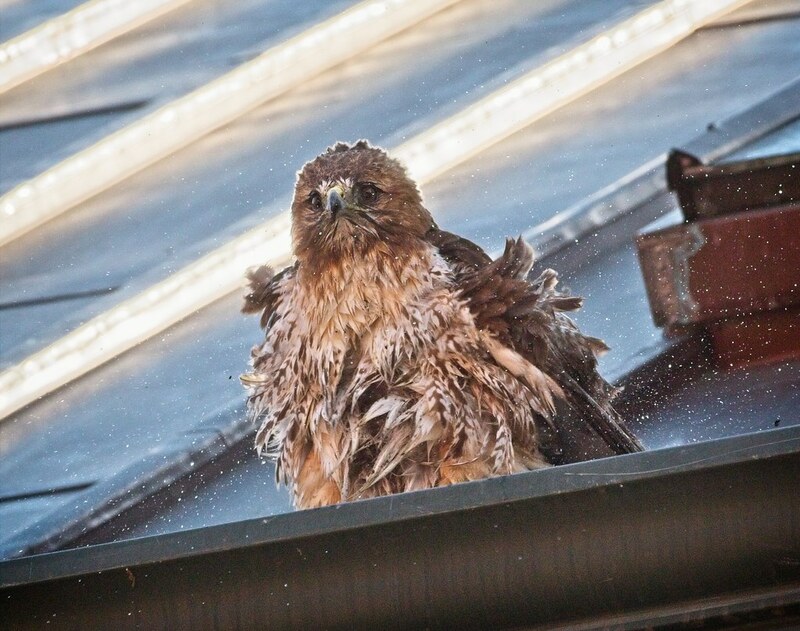 We previously saw Amelia do this last July when the weather was particularly hot. 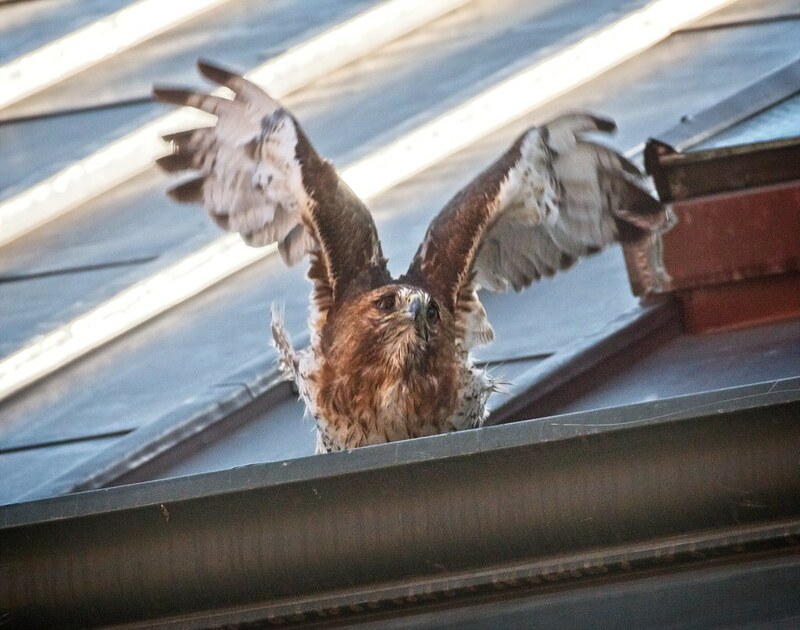 Amelia took a big stretch before flying back to the park. 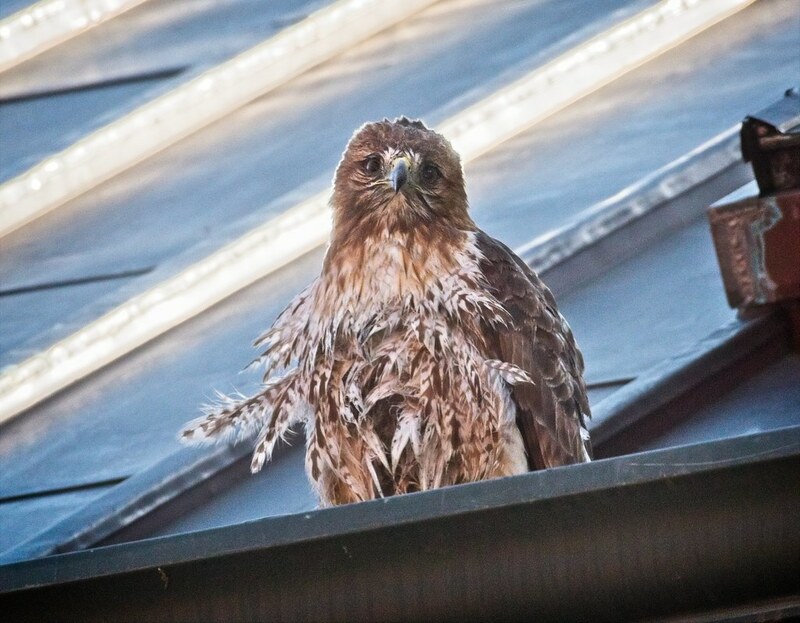 She flew around and relaxed for about an hour before returning to the nest. Meanwhile, other signs of spring are appearing in the park. 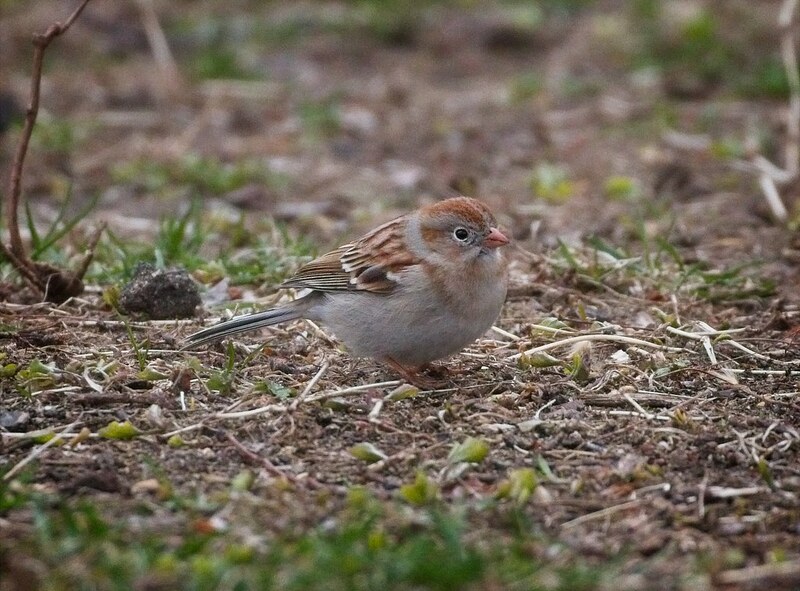 Spring bird migration is underway and this little Field Sparrow stopped in to forage on the lawn. 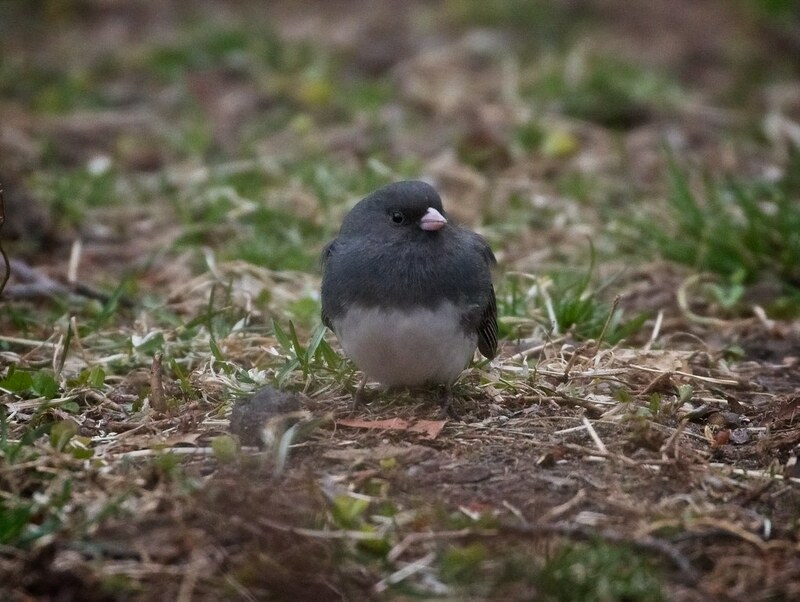 The sparrow was accompanied by a flock of Dark-Eyed Juncos. 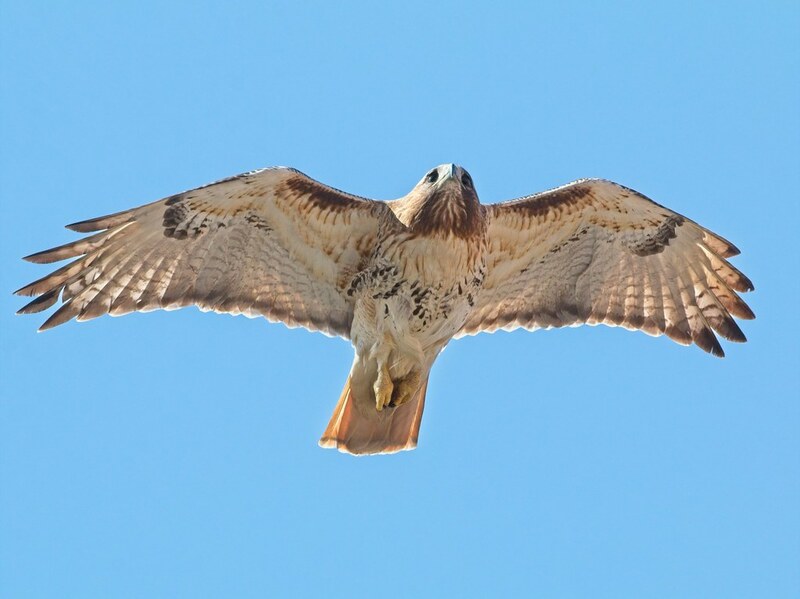 These birds remind me of the end of winter, so I'm always happy to see them.